Screaming Power is pleased to announce a new research partnership with Lambton College, in the development of an Enterprise Mobile Workforce Management solution for utilities. The project aims to leverage Screaming Power’s existing mobile solution templates and secure communication between utilities and their consumers. Further research and development of the project will also enhance that experience by allowing the communication with internal employees whom are involved in fleet service operations. A pioneer in mobile energy solutions, Screaming Power builds mobile enterprise software solutions that revolutionize the way utilities, employees and consumers can interact and communicate. From customized data intensive applications (Big Data), to Software as a Service, the company provides products and services to meet the needs of the energy industry. “Our continued goal is to create an extensible templated solution, integrated into Utilities’ fleet service operations that reaps significant rewards in saving time, resources and money, resulting in sustainable change within our world. 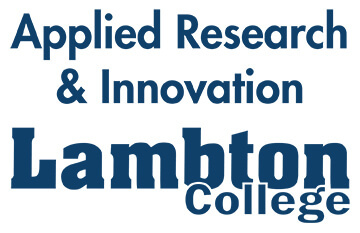 We are very pleased to be working with Lambton College on this exciting project as they are quickly becoming a leader in applied research.” – Gary Michor, CEO, Screaming Power. Michor says the partnership is based on common goals between Screaming Power and the College, including utilizing technology in the energy marketplace and the vision of creating a more sustainable marketplace. “This is a very important project for Lambton College as it provides an opportunity for us to enter the Big Data research area for the energy distribution industry. Our students will be applying their training and expertise to a well-defined project straight out of the energy management industry,” says Mehdi Sheikhzadeh, Dean, Applied Research & Innovation, Lambton College. Both organizations hope to further utilize these core beliefs to collaborate on future research and development projects. This inaugural project will focus on creating a mobile solution will that will automate the service delivery of repairs and maintenance across a wide territory, while helping to manage employee safety. Mobile outage management solutions allow for faster response time in critical situations. Mobile solutions simplify the asset control and inspection processes, saving time and money. Live remote mapping enables the operations fleet to easily access areas that don’t have addresses. Flexible, dynamic dispatch and routing options allow utilities to quickly change routings in order to further save resources and minimize outage times. Electronic work package transmission saves paper and resources.